Countertop Pillar Design Bathroom Automatic Sensor Tap .The touch-free Sensor Tap is made of solid brass,and chrome plated. When your hands are in the detection zone,the water will flow out automatically,and it will stop immediatelly once your hands leave.The smart Automatic Sensor Faucet is very convenient ,hygienic,and water-saving for modern restrooms, also suit for domestic use. Looking for ideal Sensor Tap for Public Bathroom Manufacturer & supplier ? We have a wide selection at great prices to help you get creative. 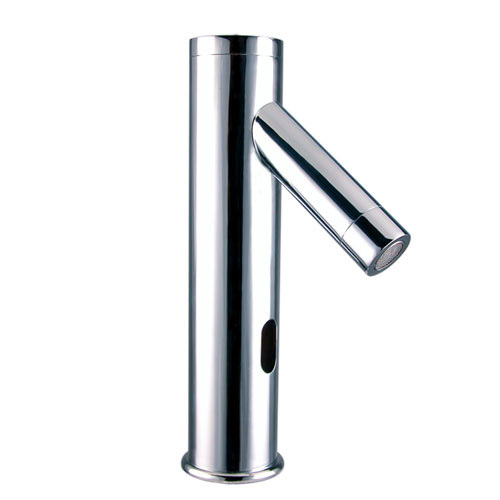 All the Chrome Sensor Tap are quality guaranteed. We are China Origin Factory of Restroom Sensor Tap. If you have any question, please feel free to contact us.